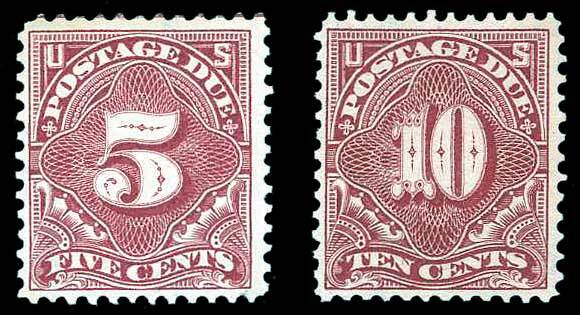 United States, Postage Due: 1895, 5¢ Deep Claret, Block of 4, #J41, n.h., one with small gum spot, weak perfs, excellent color, about Fine. 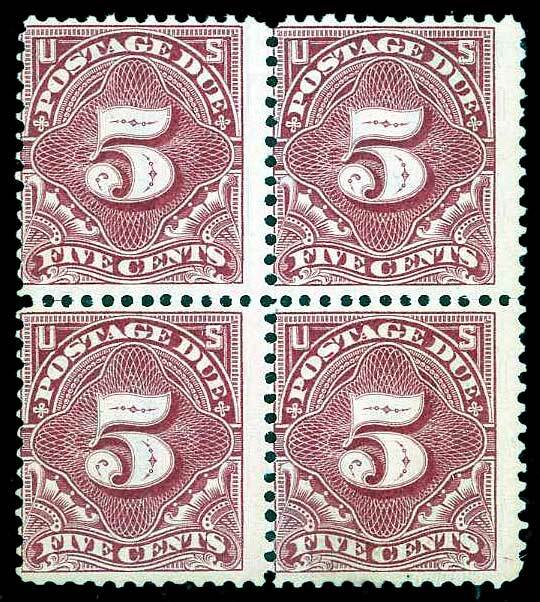 United States, Postage Due: 1895, 5¢, 10¢, #J41-42, n.h., fresh, Fine lot. 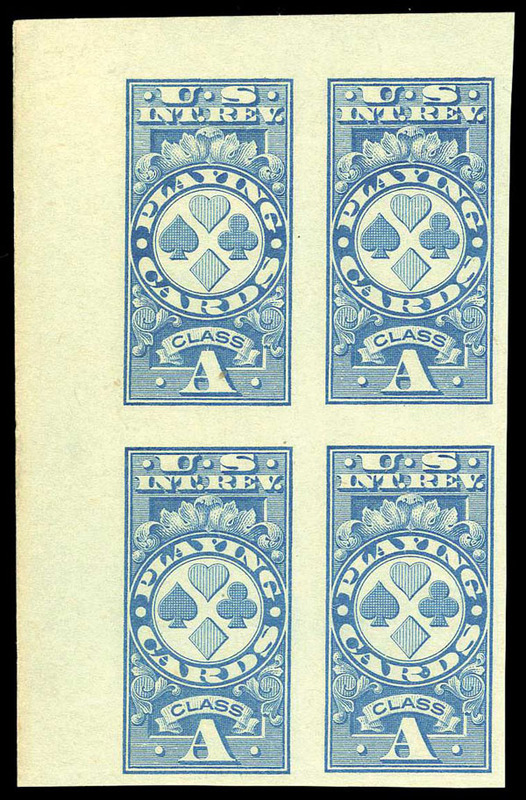 United States, Playing Cards: 1918, Blue, Imperf, #RF11, top left margin block of 4, Very Fine to Extremely Fine. United States, Playing Cards: 1930, 10¢ Blue, Imperf Vertically, Horizontal Pair, #RF24a, n.h., Fine. 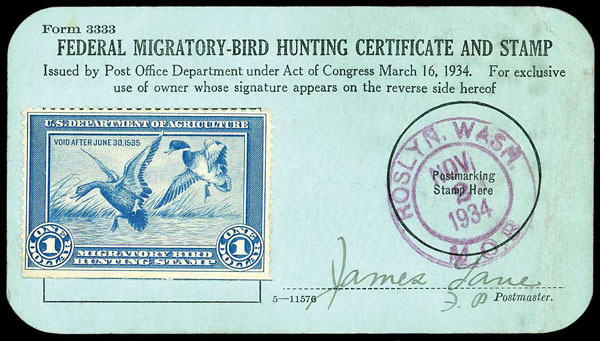 United States, Revenues: Duck Stamp; 1934, $1 Mallards on Washington Licence, #RW1, bottom straight edge example, canceled Nov. 2, 1934, Roslyn, WA; diagonal crease on license, does not affect adhesive, Fine to Very Fine. 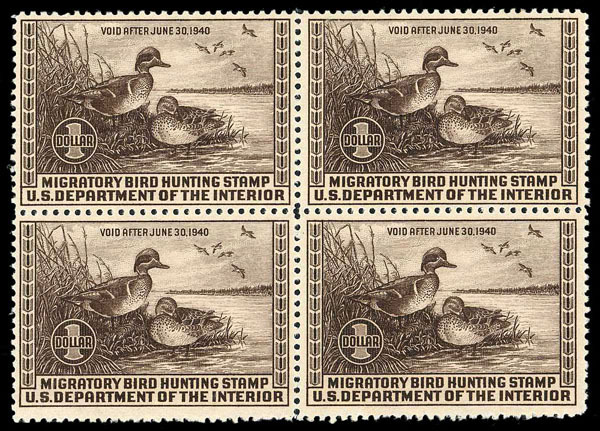 United States, Revenues: Duck Stamp; 1937, $1 Scaup Ducks, Block of 4, #RW4, n.h., gum skips, weak perfs, Fine to Very Fine. 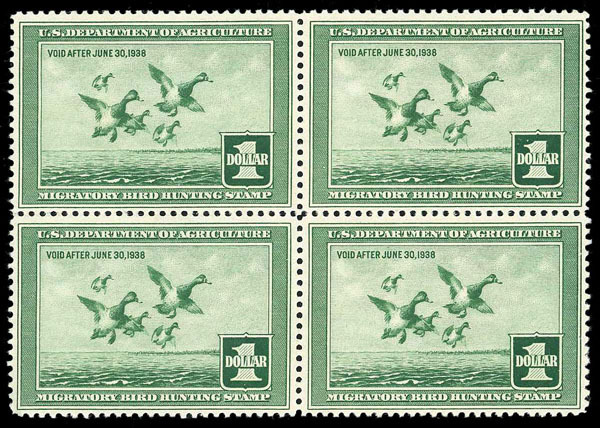 United States, Revenues: Duck Stamp; 1939, $1 Green-Winged Teals, Block of 4, #RW6, n.h., usual gum bends, short wrinkle on one, otherwise Fine to Very Fine. 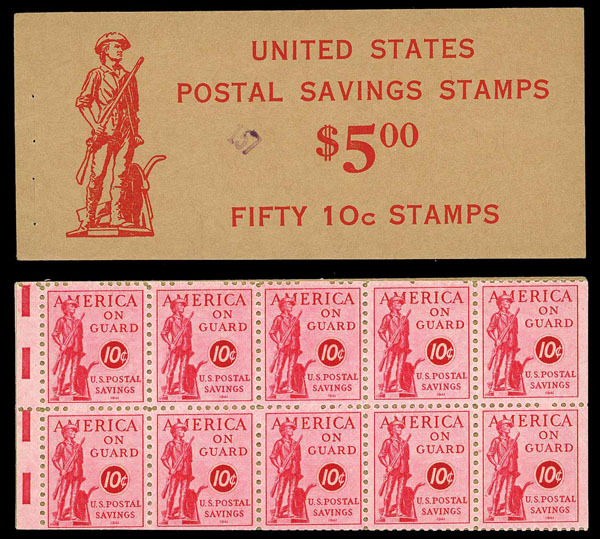 United States, Postal Savings, 1941, 10¢ Rose Red, #PS11c, n.h., Exploded 5 pane booklet with perfed horizontal edges and Electric Eye marks, incl. covers and interleaves, Fine to Very Fine. 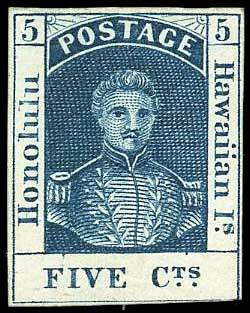 Hawaii, 1853, 5¢ Blue, Thick White Paper, #5, o.g. (h.r. ), fresh with bright color, just touches at lower right, Fine or better, 1997 P.S.E. cert. 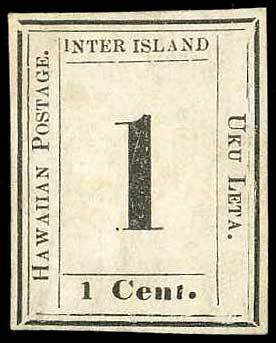 Hawaii, 1864, 1¢ Black, #23, unused, 4 margins, almost Very Fine. 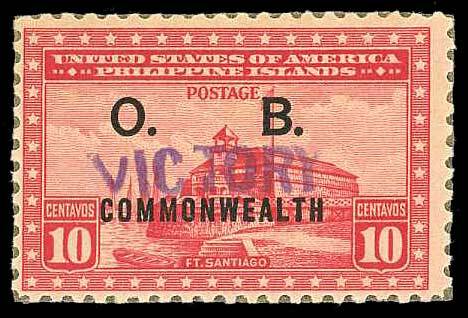 Philippines, 1944, 10c Rose Carmine, Handstamped "Victory" in Violet, #O41, unused adhering to waxed paper interleaving, nearly Very Fine, 1977 Freidl certificate photocopy single from block of 10, signed on reverse.